In praise of the PM’s Parliamentary Private Secretary | Who Runs Britain? I have become transfixed by Prime Minister’s Questions, but not by the weekly joust between the PM and the Leader of the Opposition. I am fascinated, instead, by what is going on just over the Prime Minister’s right shoulder. 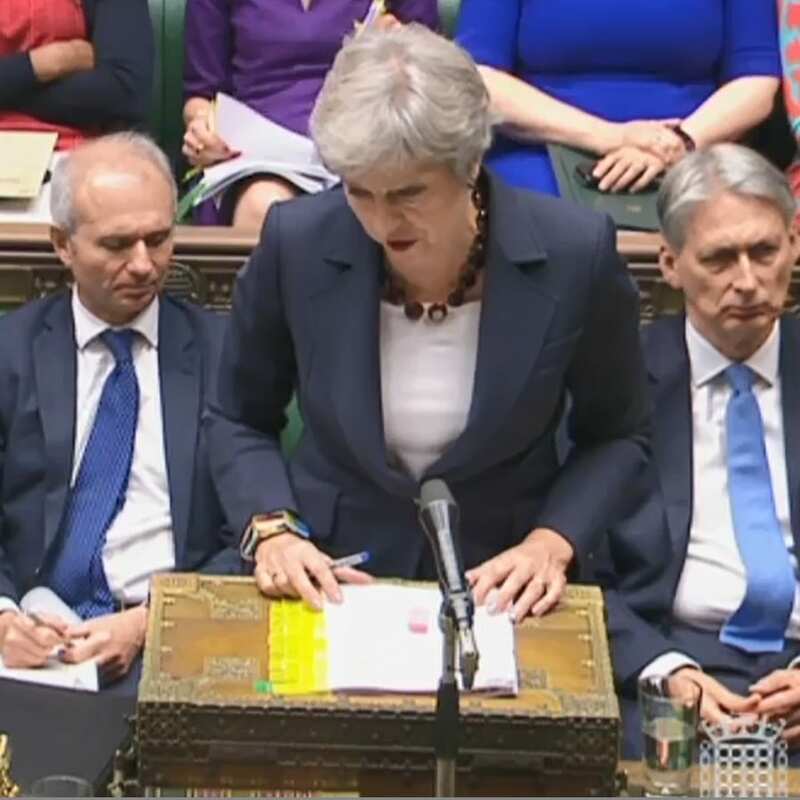 The MP sitting just behind and to the right of the Prime Minister is her Parliamentary Private Secretary (PPS), Seema Kennedy. 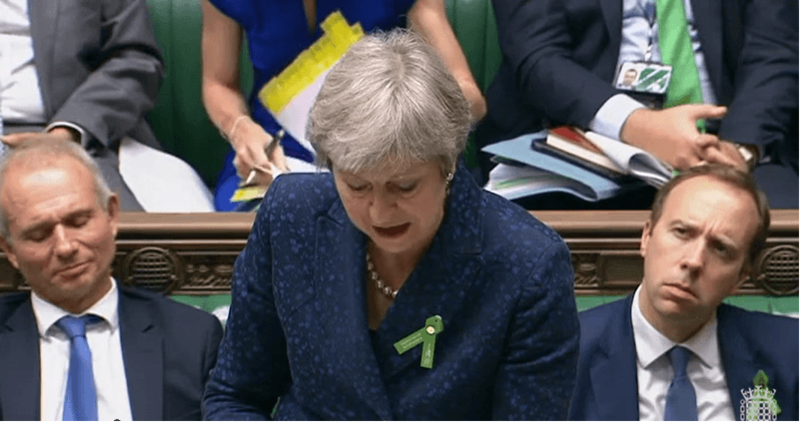 Throughout PMQs she sits with a loose-leaf sheaf of papers on her knee, easily distinguishable by the bright yellow tags attached to each sheet. At times she can be seen rapidly flicking through the papers, re-arranging sheets and occasionally scribbling notes. What we rarely see, because the restrictions on filming in parliament mean that the cameras focus on whoever is speaking, are the moments when the Prime Minister turns around to speak to her PPS and to take from her one or two of these distinctive yellow-tagged sheets. The clues, however, are clearly visible when the camera pans out and one catches a glimpse of an identical pile of yellow-tagged papers sitting on the despatch box in front of the Prime Minister. This is Seema Kennedy’s job. As PPS to the Prime Minister she is the custodian of a folder of briefing notes prepared in anticipation of possible questions which might come up at PMQs. It includes policy details, statistics, and possible ripostes relating to any question which might be lobbed in the PM’s direction. She must then sit behind the Prime Minister in the chamber and try to anticipate questions in order to slip the appropriate briefing note into the PM’s hand, preferably before the questioner has finished asking his or her question. For their recent and excellent book about PMQs, Punch and Judy Politics, Ayesha Hazarika and Tom Hamilton, who were both special advisors to Ed Miliband, have spoken to many of the participants in PMQs on both sides of the House. They describe the process of putting together the PM’s briefing folder and reveal some of the secrets and also the pitfalls involved in supporting the PM in the chamber. They note, for example, that one tactic designed to catch out the Prime Minister and guaranteed to increase the heart-rate of their PPS, is for those asking questions not to reveal the subject of the question until the very end. 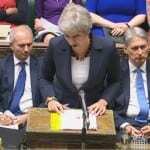 Questions which begin, ‘Can the Prime Minister explain the recent increase in… ‘ have a myriad of possible conclusions – taxes, immigration, waiting lists, unemployment? Such tactics, they argue, can create a split-second advantage for the Leader of the Opposition. They also reveal how William Hague, as Leader of the Opposition, took advantage of the comprehensive briefing notes prepared for Tony Blair. Hague noticed that Blair kept his briefing notes in alphabetical order in two folders. Consequently, Hague would alternate between questions on subjects from opposite ends of the alphabet, for example a question on armed forces followed by a question on welfare, forcing the PM to jump from folder to folder. Keeping up with such ruses makes for a challenging half hour, and often considerably longer than that, for the Prime Minister’s PPS, and a compelling distraction for those of us watching the careful shuffling of papers just over the PM’s shoulder. This entry was posted in Uncategorized and tagged May, Parliament, PMQs, PPS. Bookmark the permalink.